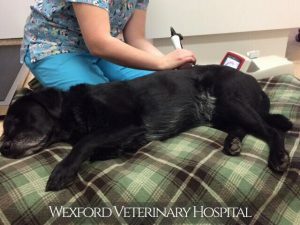 Wexford Veterinary Hospital utilizes low-level laser therapy as a sterile, surgery-free, drug-free, noninvasive treatment to reduce pain, inflammation, and stimulate healing for our patients. The beneficial effects of laser light on tissue were recognized almost forty years ago. Since then, there have been thousands of studies documenting the positive effects of laser light on different types of cells, tissue, and disorders. Class IV laser therapy uses a beam of light to deeply penetrate tissue and induce a biologic response called “photo-bio-modulation.” The light energy stimulates the energy center of the cell. The treated cells can then use this extra fuel for repair and rejuvenation of the tissue. What conditions can laser therapy be used for? 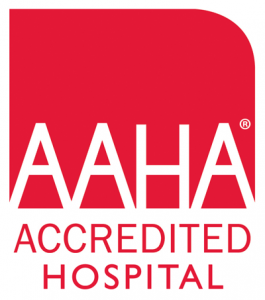 What can I expect during a laser treatment? Does laser therapy hurt? Is it stressful for my pet? The laser operator and anyone in close proximity to the laser probe will wear eye protection. The technician will strategically move the laser probe over the area of treatment. Your pet’s fur does not need to be clipped. Minimal restraint, if any, is needed to perform a laser therapy session. Most treatments take only a matter of minutes, however, each treatment protocol is unique and designed for each patient and condition. Laser therapy does not cause pain. 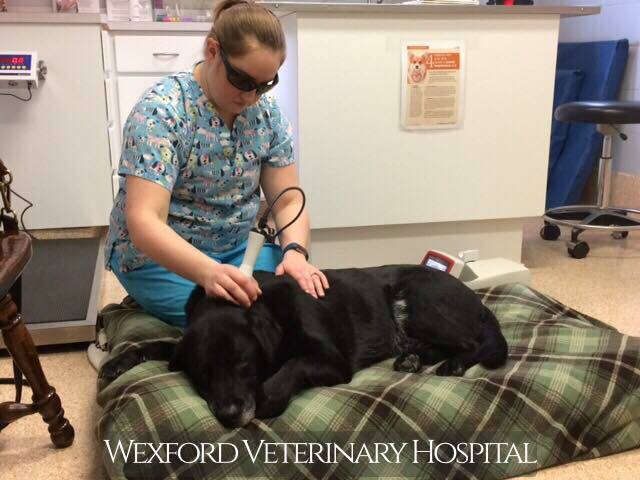 Your pet may feel a gentle and soothing warmth during treatment. 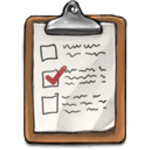 When can I expect to see an improvement in my pet? 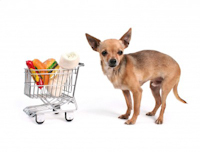 How many treatments will my pet receive? Each pet is different, although it is possible that you may see relief in the first treatment or so as pain and inflammation are reduced. However, for some conditions, a series of treatments may be necessary before you see results due to the severity or complexity of the condition. Due to the varying nature of each health condition, your pet may receive as few as one laser treatment. However, for more some conditions, we often recommend a series of six treatments to assess response. Some patients with chronic conditions, such as degenerative joint disease may benefit from ongoing therapy at a frequency to be determined by you and your veterinarian.